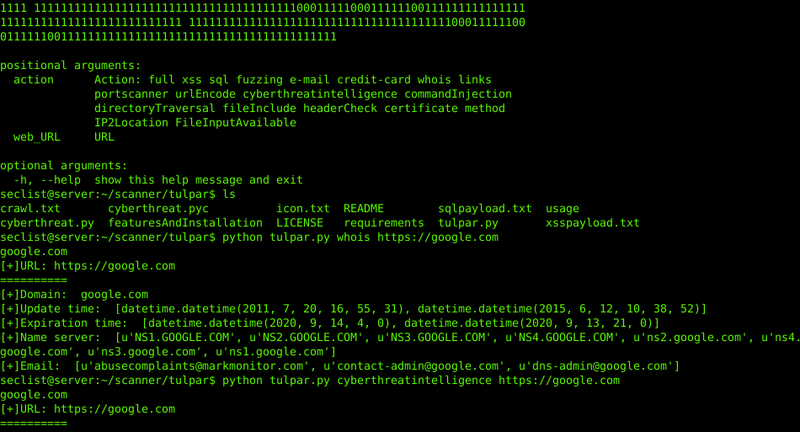 Browse: Home / Tulpar – Web Vulnerability Scanner. 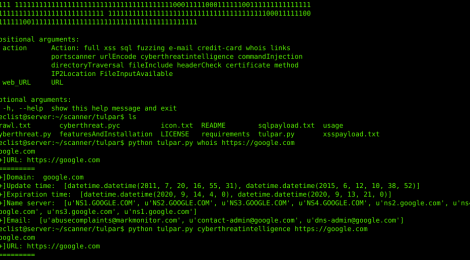 Tulpar is a open source web vulnerability scanner for written to make web penetration testing automated. Tulpar has the following features. + python-whois, futures, requests-2.13.0 and lxml python2 module. ← scutum – Linux ARP (TCP/IP / UDP / ICMP) Firewall Automatic Controller.